The Pioneer ND-DVR100 dash camera, a useful tool that can monitor driver performance, and show speed, direction, and more. For anyone who drives, regardless of how near or far, the ND-DVR100 is a must-own product. The Pioneer ND-DVR100 automatically begins recording when powered on, seamlessly capturing video clip files in a continuous loop on the included 8GB microSD card. The camera will automatically delete the oldest video files to make room for the most recent video clips (first recorded, first deleted), enabling the camera to continue recording even when the memory card is full. 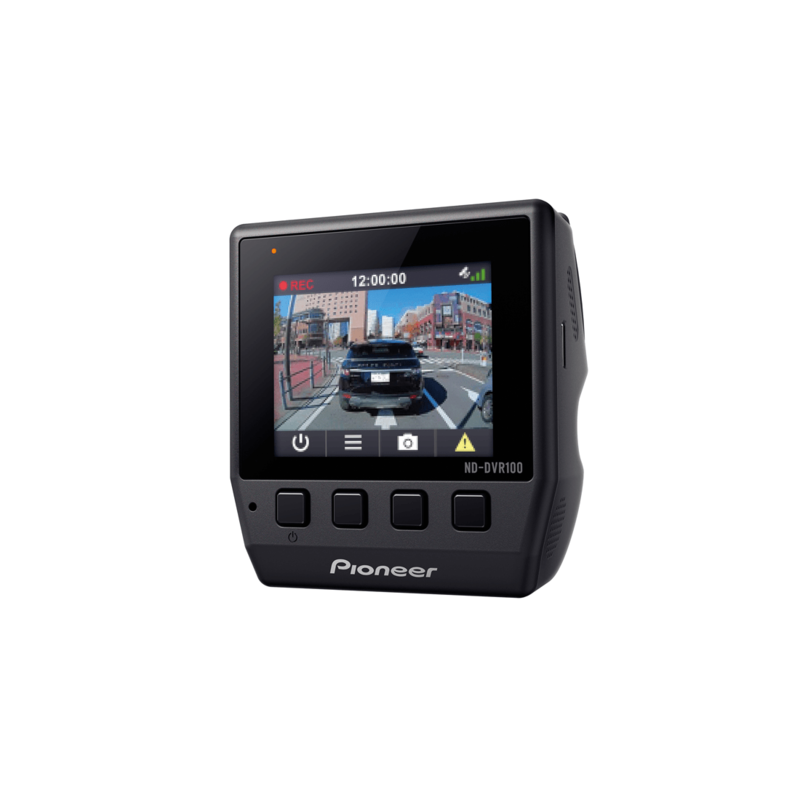 If the built-in G-sensor of the Pioneer ND-DVR100 detects an impact incident (such as a collision while in motion or a bump while parked), that video file is locked and stored in an Event folder to prevent being overwritten and to provide later access to the video. Videos clips can be viewed directly on the camera’s display for when the driver is safely parked, or from the microSD card, and stored files can be easily transferred to an external device or computer. 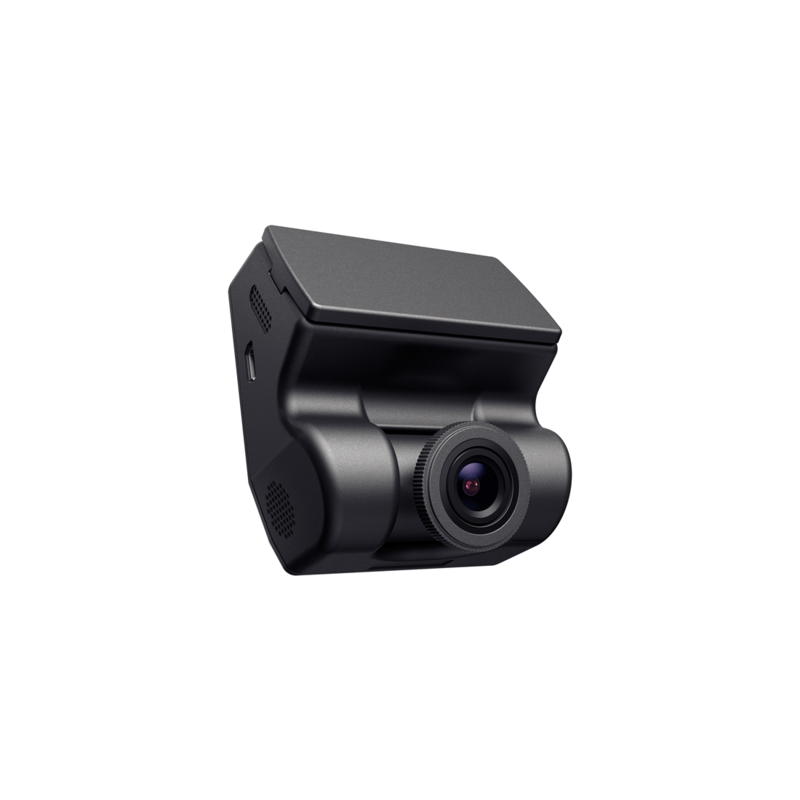 The dashboard camera records 1080p HD video at 27.5 fps (frames per second) and features a wide aperture lens to provide high quality recordings and still photos in daylight and low light. The 27.5 fps frame rate was specifically chosen to accurately capture LED traffic lights, which often operate at 60Hz– especially helpful in the case of a traffic signal related video. 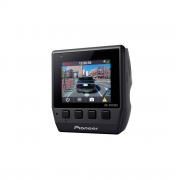 In addition to recording HD video, the Pioneer ND-DVR100 has the capability to capture still images so that in the event of an accident, the driver can detach the camera and take detailed photos from outside the vehicle. Using its built-in GPS receiver, the ND-DVR100 can also display and record the time and GPS position (longitude and latitude) directly onto the recorded video and still image files. The compact Pioneer ND-DVR100 is designed for unobtrusive mounting behind or next to the rearview mirror. * This design integrates cleanly into the vehicle interior, preserves the driver’s view of the road, and places the camera as high as possible to maximize the camera’s recording field of view. 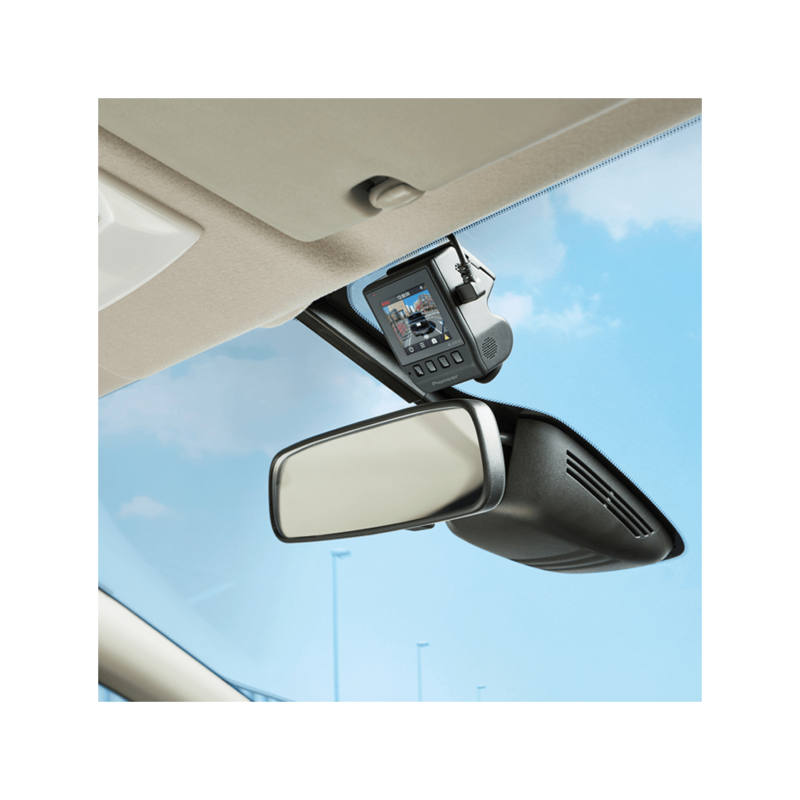 The unit is easy to install and detach, features a 114-degree viewing angle and an adjustable tilt camera lens to accommodate various windshield angles and mounting positions. -Driving mode: When the vehicle is moving, the camera captures seamless and continuous recording of video clip files, with three available sensitivity settings for impact detection. When triggered, the camera stores the video clip in an Event folder so that it is not overwritten and is available for later access. -Parking mode: When the vehicle is parked, the camera initiates standby mode. Recording automatically begins during this mode if the G-sensor detects an impact or motion is detected in front of the camera.